Small cap U.S. stocks have failed to keep pace with their large cap counterparts this year, by a wide margin. Through November 21, the Russell 2000 was up only 1.9%, while Russell’s large cap index, the Russell 200, was up 13.3%. The surprise this year has been the strong performance of mid caps. Rather than sitting between the two indexes, the Russell mid cap index is up 12.5%, just behind the large caps. If the performance margins continue as is, the performance of mid caps would be impressive, but not extremely strange. Since 1980, mid caps have beaten small caps by 5% in 12 of the last 34 years. The largest gap was 13.3% in 2009. Mid caps also beat small caps by double digits in 1989, 1998, and 2000. In three of these four examples, small caps reversed their fortunes and outperformed the next year. While interesting, the data is not statistically significant. Another comparison is to see how mid caps compared to the average of small and large cap stocks (see chart below). 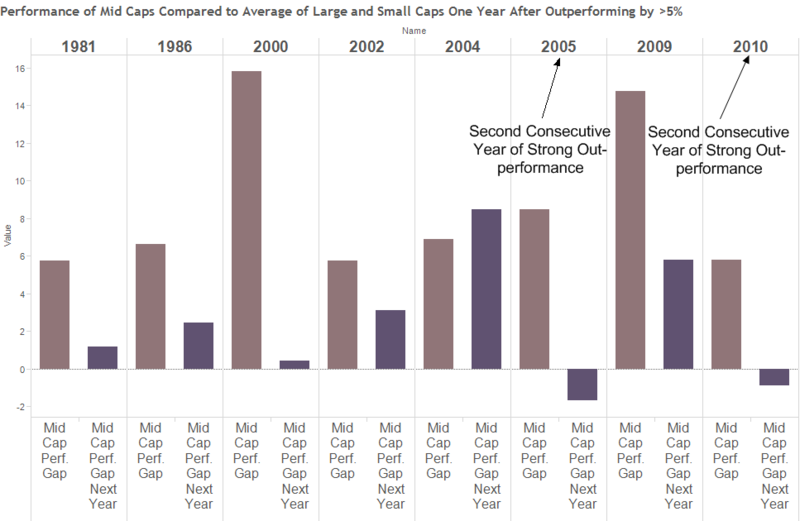 Mid caps have outperformed the average of small and large by 5% in 8 of the last 34 years. This year’s gap is just short of 5%. Of the eight cases, mid caps beat the average of large and small the following year 75% of the time. The only two cases where mid caps lagged were years where mid-caps had beaten the average by over 5% two years in a row. Last year small caps led mid caps, so the historical data isn’t putting much pressure on mid caps based on their outperformance. Why do mid caps have such an impressive track record? Mid caps have been the best performing capitalization segment. Since 1980 they have had a 2% lead on small caps and large caps. That 2% lead has contributed to superior performance overtime. While the mid cap advantage seems strong, it isn’t abnormal. The Russell 2000® is an index comprised of the 2,000 smallest companies on the Russell 3000 list and offers investors access to small‐cap companies. 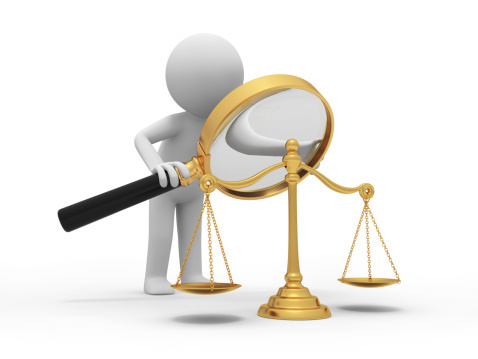 It is a widely recognized indicator of small capitalization company performance. An index is an unmanaged group of stocks considered to be representative of different segments of the stock market in general. A market capitalization weighted index of the largest 200 companies in the Russell 3000. The Russell Top 200 Index is a benchmark index for U.S.-based large-cap stocks; the average member has a market cap above $100 billion. You cannot invest directly in an index. Market capitalization, or market cap, refers to the total dollar value of all of an issuer’s outstanding shares of stocks. Generally, large-cap firms consist of companies whose market cap is between $10 Billion and $100 Billion; mid-cap securities generally consist of companies whose market cap is between $2 Billion and $10 Billion; small-cap securities generally consist of companies whose market cap is between $300 Million and $2 Billion. Additional diversifiable risks for mid-cap companies include, but are not limited to, liquidity risk and business risk. These two risks are present to an even greater degree for small-cap firms.